One thing that is near and dear to my heart is the Montessori Method of learning. I love the idea of your kiddos play as being "work" and that everything at their height is meant for them. This cuts down on saying "no" a zilllion times a day and makes your home a happy one. Helping your child learn everyday tasks and giving them purposeful play is fulfilling for them, and is just as fulfilling for Momma and Poppa. As Wolfgang gets older he needs new and more stimulation then the old days of just a baby play gym or mobile and mirror. 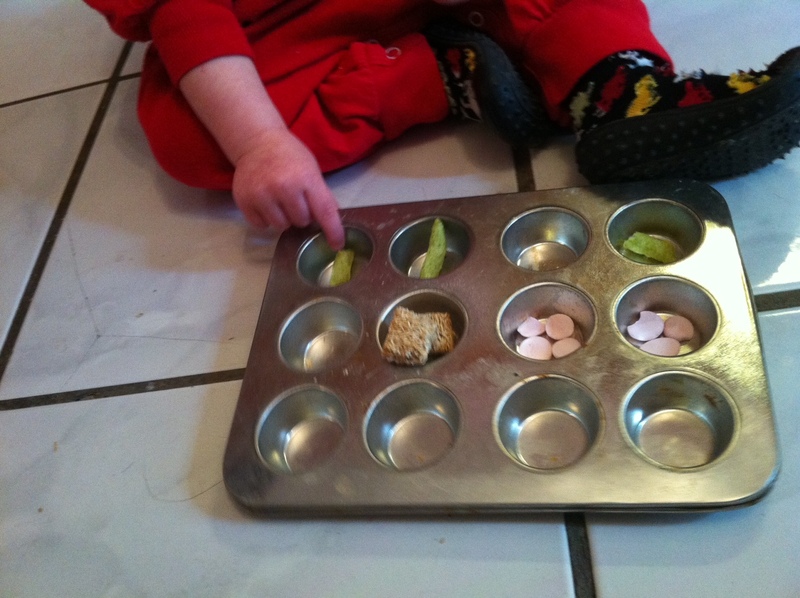 Right now colors and sorting are what have been catching his eye, so for snack time I came up with a Montessori inspired snacking situation. 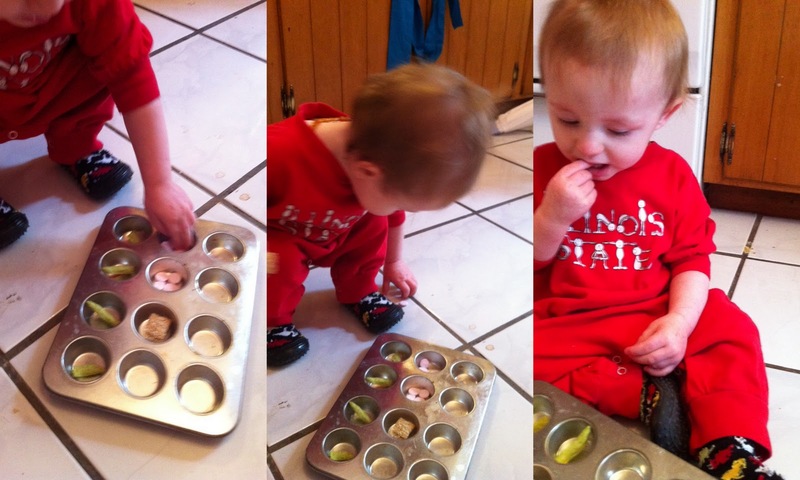 A mini cupcake tray is what I use to separate out the color and textures of his mid morning snack. A self serve mini snack bar for Wolfgang is the way to go here, sometimes he is even kind enough to bring the snacks to me and let me pick too. Interested in learning more about ways you can incorporate Montessori methods into your home? Check out some of my favorite sites and blogs.